A global company with massive reach, you have to tip your cap to Kannaway. Their website is full of information, and when I visited for the first time I was greeted by an invite to a training session in San Diego, California. At the time of publishing this article it stated that the training event was just 52 days away, so depending on when you stumble across this content, it may be coming up soon or it may be in the past. Be that as it may, when I’m trying to buy a product, especially CBD oils, I want to dig into the product offering and not try to be flipped into some pyramid scheme. I’m not saying they are a pyramid scheme, but when it prompts me to pay to be “an ambassador” it just smells funny. Unlike some of the other companies I’ve come across, they use sustainable hemp grown in Northern Europe, which is probably a first for me to read. CBDPure gets theirs from Colorado, in comparison. Like CBD Pure and many of the other brands out there, they do take a lot of pride in their rigorous testing procedures. The potency is checked by ProVerde Laboratories and Food Safety Net Services, which also looks for contaminants. It’s easy to applaud companies that do this type of diligence, and you’ll find that many of the top brands share this type of transparency. Additionally, they have a pet line, skin care line, and even clothing made from hemp. Lastly, they have a category called Rev!ve that is an herbal blend made of Bi-Bong herbs and CBD. Awaken the power within. Passed down for centuries, Rev!ve’s highly precise traditional bi-bong herbal blend was formulated to enliven, invigorate, and stimulate your entire system giving you increased clarity, focus and energy to get you through your day. When your system kicks into gear, everything works at its optimum, leading to a healthier, more positive daily life. It’s much easier for me to quote their website rather than attempt to tell you what the Rev!ve line sets out to do, but from what I read it’s from East Asia and features some potent herbs. Hey, whatever works, right? As far as the CBD lines are concerned, there is nothing out of the ordinary in the Kannaway offering. I haven’t personally tried their products, so I’m not going to say they are great, or that they are poor. Perhaps someone will reach out and send me a media kit so we can get my opinion to the masses. For now, I’m going to let the commenters leave their Kannaway reviews and hopefully we can find out more about the quality of their products. 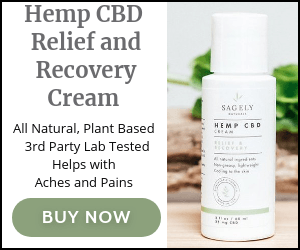 What I will say is that from what I found, they have a pretty cool thing going with their Bibong ® CBD Herbal Blend and they are the first to ever use the direct marketing approach. That approach will definitely bring awareness to not only their brand, but other CBD companies as well, so I applaud them for that. They also take the necessary safety and ethics measures, and I’m really not going to invest in any company that doesn’t go through those hula hoops, so again, kudos to them for doing that.